Fugu Poker is one of the best sites that have been introduced in the last few years. They offer compelling promotions with an unbeatable rewards program which includes, Gold Cards, Gold Chips and Gold Stacks. The graphics are functional with multiple table views. Fugu Poker offer games such as 7 Card Stud, No Limit Hold’em, Pot Limit Omaha and several variants of Omah Hi/Lo. Fugu Poker offers bank options such as Visa, MasterCard, MoneyBookrs, Neteller, UseMyWallet and Eco. Fugu Poker have well-trained and friendly customer care representative who are available 24/7 and are known to answer email within 20 minutes. Fugu Poker was established in 2011 in Curacao and utilizes Cake Poker Network software. Fugu Poker offers and exclusive $1 000 first deposit bonus, up to 110%. 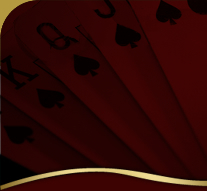 Fugu Poker also offer a monthly $1 000 freeroll to new depositing players who earn 1 FPP and deposit during the month. New depositing players will automatically be issued a free seat in the weekly $500 Cake Network Freeroll.